How many of the previous Sunday’s near-capacity Shalin Liu audience had come primarily to hear the world premiere of Christopher Theofanidis’s The Conference of the Birds? New Rockport Chamber Music Festival Director Barry Shiffman asked for a show of hands. Few went up. Good, said Shiffman, since it would not be played: with violist Phillip Ying ill, the quartet could not venture a challenging new piece with a last-minute substitute. Instead of the full Ying Quartet with something unfamiliar, then, we got a generous reading of Bach’s inevitable exercise in virtual counterpoint, the Cello Suite No. 1. The decidedly outgoing Zuill Bailey bowed to the audience before doing the same to the seascape, which responded with golden-hour rays. And once again we were reminded how Lawrence Kirkegaard’s acoustics flatter the bass registers. Bailey excited the resonances of the space with a satisfying abundance of tonal pleading and asserting which did as much to advance the cause of Bach’s logic as to compensate for MIA Yings. As it would turn out, the afternoon’s satisfaction came mostly in this beginning and at the end. Though much has been debated about Schumann’s adequacies as an orchestrator, his Cello Concerto was hardly helped on this afternoon by the reduction of the accompaniment to string quartet. Much of the excitement of any concerto comes from its soloist riding astride a large orchestra, even though in the Schumann he rarely gallops. If the arrangement (credited to Bailey, the Yings, and Philip Lasser) had made of the concerted work a real cello quintet (think of Schubert’s divine one), then we would be celebrating. Instead, the initially quiet proceedings from this ad hoc Ying Quartet lacked the polish of its authentic self (Shiffman generously agreed to sit in for the ailing Phillip). The concerto came across shrunken in emotion as well as numbers, the soloist deferring perhaps more than he should have. Had this been chamber music among equals with well-differentiated parts, as in the Brahms that followed, such deference might have worked. In the event, it felt more Lovelaceian than Byronic. One grieved with accompanying cellist David Ying; his part provided little more than predictable underpinning. Perhaps someone can season this sauce reduction by substituting double bass for the second cello and adding a couple of winds. 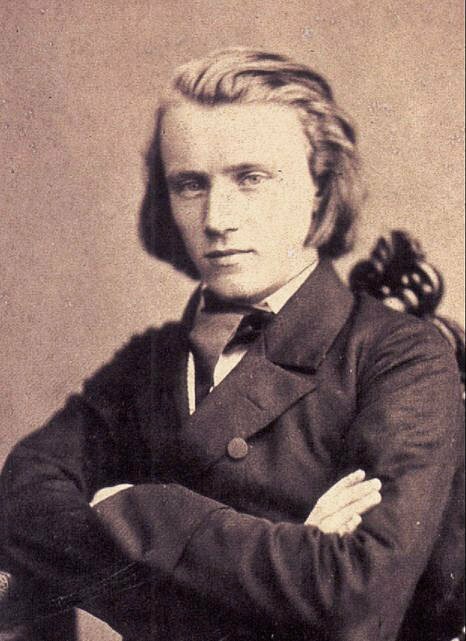 Brahms endowed every line of his String Sextet No. 2 with individual interest as well as possibilities for complex and lively interaction. No player sits in a subordinate chair. Into the ad-hoc assemblage came Japanese-Norwegian violist Masumi Per Rostad, ex of the Pacifica Quartet. His burnished tones wore the smiles of a new father, literally when the peepings of his child (I think) filtered into the air. He and Shiffman on the other viola delivered with sonically piquant homemade relish. Regular quartet members Robin Scott and Janet Ying attractively traded solo moments and attentive ensemble ones. Cellist David Ying, receiving dispensation for his diminished role in the Schumann, played out dramatically, finding himself somehow very much at the center of things. Bailey wore a less extravagant mantle. From movement to movement, ensemble tightened, and by the fourth the fully aligned six could dispatch Brahms’s immortal alternations of bittersweet introspection and gregarious romp as if they had played together for years instead of hours. In his first outing as player / impresario, Barry Shiffman conveyed warm confidence in the face of possible programmatic disaster. Rockport listeners, while perhaps missing the urbanities of David Deveau, can nevertheless relax into a satisfying new chapter under his successor.